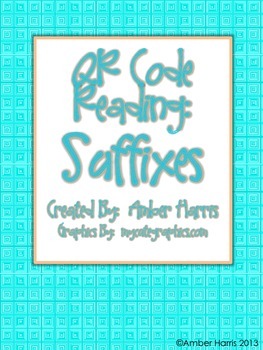 This product includes 4 QR Code activities to provide 3rd, 4th, and 5th grade students with practice understanding and using suffixes. 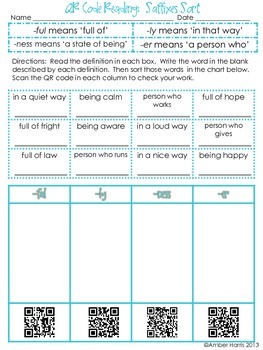 Activities include matching, sorting, a partner activity, and self-checking activities. Each practice requires an electronic scanning device with a QR Code reader. 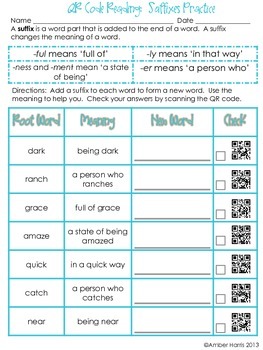 These are great activities for centers, small groups, and partners and they provide a fun technology connection that your students will love. 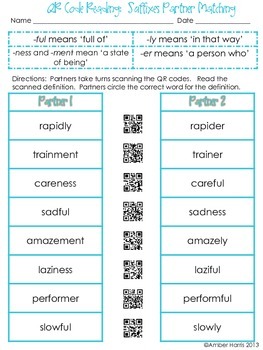 *This product is included in my QR Code Reading: Vocabulary Bundle. Buy the bundle and save!